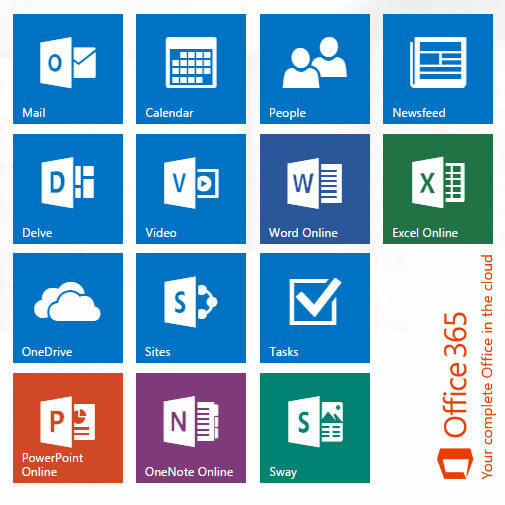 Office 365 provides a complete online and desktop experience by utilising a set of integrated services hosted on Microsoft's ultra-secure datacenters. all with appropriate layers of security and compliance. Everyone can work together easily with anywhere access to email, web conferencing, documents, and calendars. It includes business-class security and is backed by Microsoft. Running a business is hard. Running your IT shouldn't be. Why not deploy the industry's most recognised set of productivity tools and give yourself the time to focus on business, while Microsoft takes care of your IT needs? Exchange Online – for email. SharePoint Online – for website, document sharing and central storage. Lync Online – for online meetings and PC to PC communication. SharePoint Workspace – keeps documents synchronised to your desktop, and allows you to access your documents and email from any browser, or to use a compatible client across a range of devices.